International law makes clear that the Government of the Lao People’s Democratic Republic has the duty to carry out an independent, thorough, credible and effective investigation. 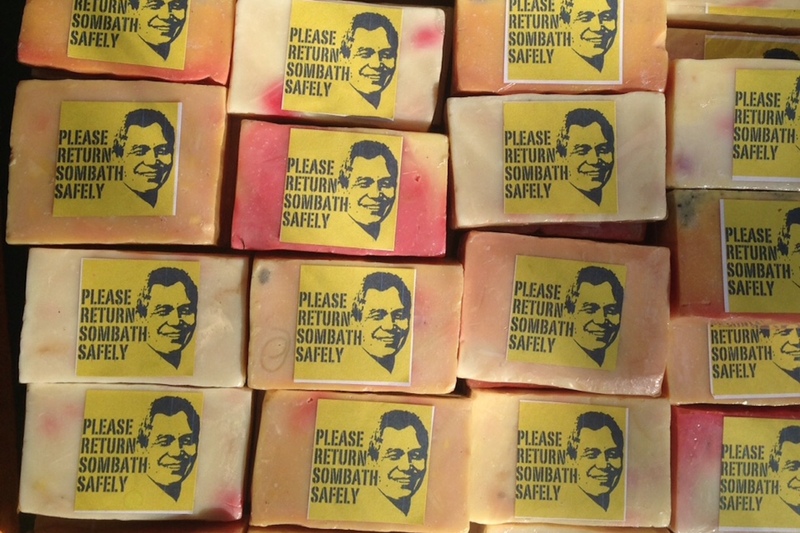 International support is now needed to investigate the enforced disappearance of leading Laotian human rights defender Sombath Somphone, who was last seen in December 2012, a group of United Nations independent experts urged today. “It is high time for the authorities of the Lao People’s Democratic Republic to voluntarily request international assistance with the aim of shedding light on Mr. Somphone’s fate and whereabouts, two years after his disappearance,” the experts said in a news release. “International law makes clear that the Government of the Lao People’s Democratic Republic has the duty to carry out an independent, thorough, credible and effective investigation,” they added. Mr. Somphone is a prominent human rights activist working on issues of land confiscation and assisting victims in denouncing such practices. He was last seen at a police checkpoint with his car parked in the police compound. “We also encourage all States to offer their support to the Government of Lao PDR to ensure that the disappearance of Mr. Somphone is thoroughly investigated,” the experts added. The situation of human rights in Laos is due to be assessed next month through the Universal Period Review process, which involves a review of the human rights records of all UN Member States. Under the auspices of the Human Rights Council, the process provides the opportunity for each State to declare what actions they have taken to improve their human rights situation. The experts said they hope that the authorities will respond favourably to a request for an invitation to visit Laos by the UN Special Rapporteur on the rights to freedom of peaceful assembly and of association, Maina Kiai. Along with Mr. Kiai, the experts speaking out on Laos today include the Special Rapporteur on the situation of human rights defenders, Michel Forst; and the Special Rapporteur on the promotion and the protection of the right to freedom of expression and opinion, David Kaye. Independent experts or special rapporteurs are appointed by the Geneva-based UN Human Rights Council to examine and report back, in an unpaid capacity, on specific human rights themes.